As the rest of the world goes about the hustle and bustle of everyday life: working hard, trawling busy supermarkets and negotiating traffic jams, the vast continent of Africa can seem such a faraway place, too distant to even contemplate. 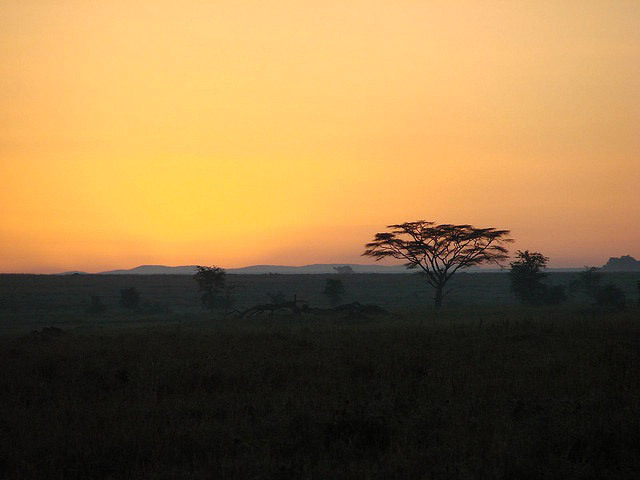 But for the lucky few that get to enjoy an African safari, the day is very different… let me paint you a picture. Days begin with a wake-up call in your tent at dawn. Camp staff will bring you a tray of steaming hot breakfast tea, coffee, hot chocolate – whatever your early morning beverage of choice is! Start the morning slowly, enjoying your drinks on the private deck outside your tent. 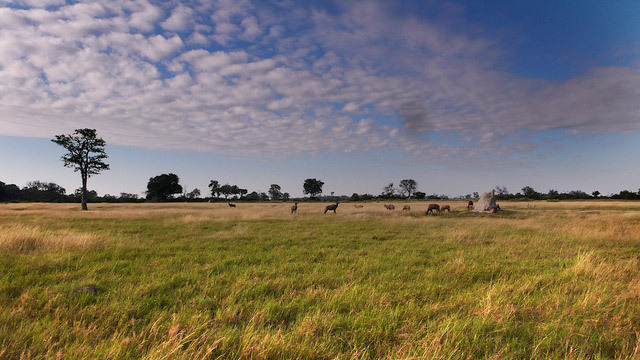 Admire the endless, rolling plains and the huge African morning sun as you prepare for the day’s activities. Wildlife is more active early in the mornings, so it’s time to hop into your vehicle with your guide and tracker to see what you can find. You might spot a cheetah stalking a herd of oblivious antelope, a bull elephant using his long trunk to grasp high leaves and a family of baboon lovingly grooming one another. Every safari is different and seeing these animals in their natural habitat, interacting with one another, foraging for food is a special experience that will stay with you. When you start to feel a little peckish, your guide will set up a table, brimming with delicious breakfast treats: teas, coffees, juices, fresh fruits, bacon sandwiches, yoghurts, muffins and cereals. 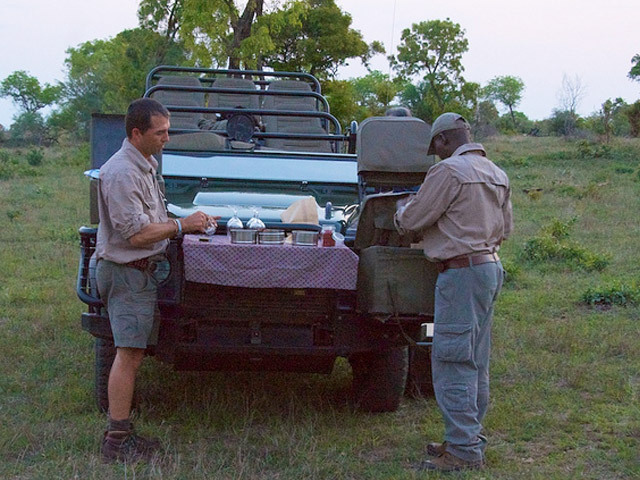 Enjoy your hearty breakfast together before heading off out into the bush in search of more wildlife. You’ll be greeted back at camp with a glass of fresh juice and a chilled facecloth. It’s time for a tasty lunch in camp and a little rest and relaxation. Spend some time by the plunge pool, enjoy a traditional treatment in the spa, sit back on your deck with your favourite book or spend some time looking through your collection of photos. Once you’re feeling well-rested, it’s time for some more safari activities in the afternoon. Perhaps you’d like to head out in the vehicle again for another game drive? Or, in Botswana, maybe you’d like to hop into a mokoro and discover some winding waterways; quad bike in Namibia; take camel rides in Kenya; look for flamingos in Tanzania’s vast lakes or explore the plains on foot and go tiger fishing on the Zambezi River in Zambia? 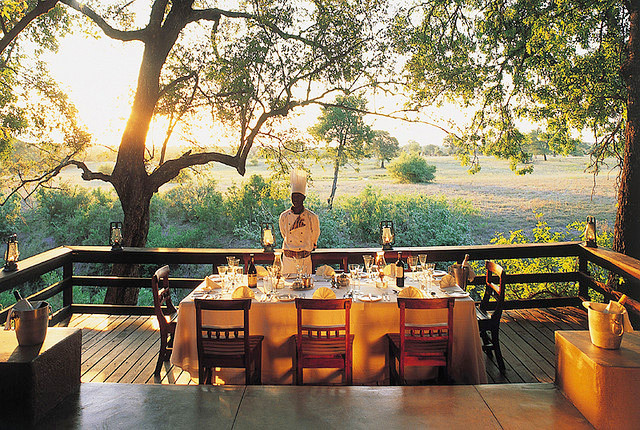 Africa’s many safari destinations offer unique, but equally spectacular experiences. In the evening you’ll head down to the campfire (or bush tv as it’s known in the safari world!) and grab a glass of your favourite tipple. Discuss your day’s adventures with fellow guests and guide by the glimmering flames and warmth of the campfire. Take a look above you at the inky, dark sky, bursting with sparkling stars. Enjoy a delicious dinner and, when you’re content and full, you’ll be escorted back to your tent where the sounds of the bush will lull you to sleep before your next day of African adventures begin.